It’s amazing what you can find for a buck or two at your local dollar store. Sure, a lot of the stuff sold at these stores is cheap and crappy — if I see one more book light selling for a buck I’ll scream into the two-dollar computer microphone and listen to myself howl on the three-dollar set of speakers. Enough said. By looking around with a discerning eye and grouping a few dollar deals together, you may just save yourself a bundle while gifting your office friends, mail carrier, or kid’s teacher with a present that looks like it cost a million. Ok, maybe twenty bucks. I’ve never been good with buying gifts for guys. Sorry. So I sent my guy, ‘The Carl’, on a dollar store mission to find good quality items for the good fellas on your list. At first he thought I was crazy (ok, he always thinks I’m crazy), but after an hour of hunting, he was mostly impressed with himself and his $15 haul. 1. Camera Tripod $2: It’s a mini thingy, but it’s strong enough to mount my mini digital camera. It’s fun to use and it fits neatly into a Christmas cracker. Stuff it in a stocking with a real camera and you’ve got a fun gift. Say cheese! 2. Six-in-One Screwdriver $2: That’s a lot of bits for two bucks! With a rubberized grip and a magnetic bit holder, you’re getting the weekend ‘fix it’ warrior a wicked gift. 3. Tire Pressure Gauge $1: Spend a buck and save a fortune with better gas mileage and fewer trips to the pump. Any hypermiler out there would agree that a tire pressure gauge is a must for any driver. See 10 Ways to Save Money on Gas for more anti-gas-guzzling ideas. 4. Tape Measure $2: This one comes complete with SAE and metric markings. Plus the packaging boasts ‘Positive Thumb Action Control’. I dunno what that means, but it measures things just fine. 5. Microfiber Towel $1: Polish a car, clean up a mess, or shine a pair of shoes. Microfiber is soft, durable, and can be used to wrap a gift too. Or swap out your Swiffer Sweeper refill with this Swiffer Microfiber Hack — a very popular article. 6. Blue Cloth Set $1: Carl must be obsessed with cleaning these days ’cause he added a second cloth to his dollar store kit. If your man’s hands get dirty after fixing the car or working in the garage, then a cleaning cloth ain’t a bad idea. 7. Bungee Cords $1: A 24-Pack of Assorted Bungee Cords sells for $15 at most retailers, but a small set of 4 is just a buck at the dollar store. For light-weight jobs, this mini set will get the job done. Just don’t jump off a bridge with them. 8. Manly Manicure Set $2: Ok, it’s a nail clipper with a file, but it keeps the ‘man hands’ manicured for less. 9. Duct Tape $1: Three rolls of tape in three different colors. Great for emergencies where adhesive is essential, and for physically taping your mouth shut in any sticky situation. 10. Nasal Strips $2: These are not the official Breathe Right Nasal Strips selling for $25, but for a $2 it’s a great gift for yourself if your partner is a snorer and you need some rest. Sleep on it. I’m not much of a girlie-girl, so I took a pass on most of the makeup, the hair stuff, and the fake nails and opted instead for dollar items I would actually use. 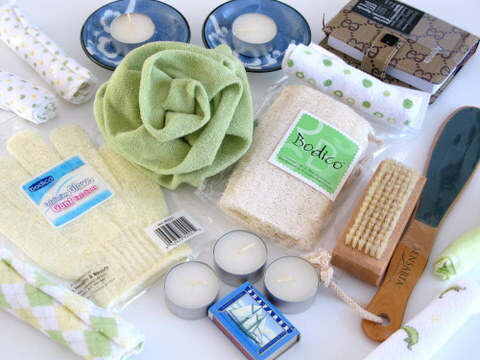 Maybe a gal in your life could use this stuff too. 11. Terry Cotton Buff $2: It’s green, serene, and it’ll get you clean. This flower-shaped buff is a pretty neutral color, plus it’s a blooming great way to create a spa gift that’s on budget. 12. Loofah Sponge $1: A little loofah goes a long way to scrub the rough edges and soften your skin cells. 13. Exfoliating Glove $1: Male readers are probably wondering, What’s up with all this skin stuff? Sorry fellas, softer skin usually comes at the scrubbing good price of one dollar. 14. 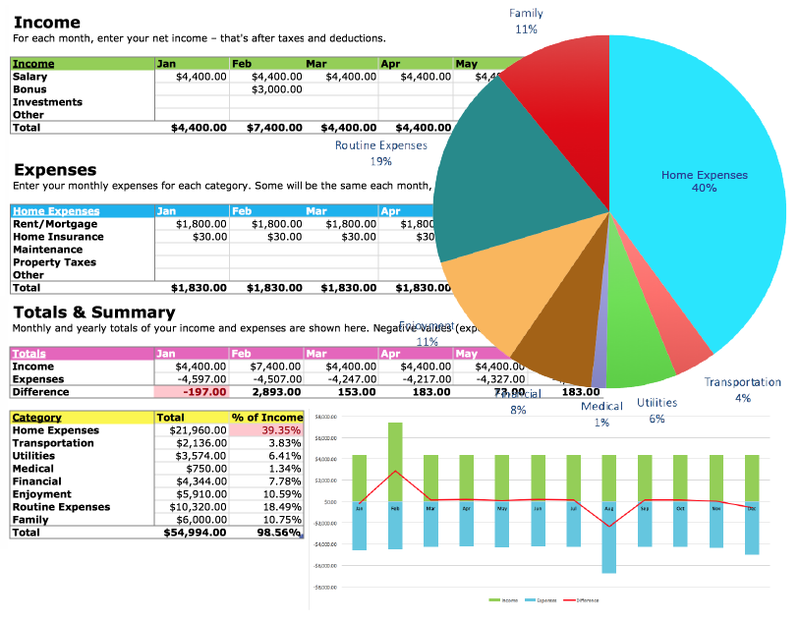 Journal Agenda $2: Use it to keep track of your spending and stay on budget. It’s tiny, so it fits neatly in your purse. Very cute. 15. Baby Washcloths $2.50: A 12-pack of super-soft baby washcloths is amazing for gently washing sensitive skin. Also great for removing makeup and that black mascara stuff. Don’t cry, these only cost two bucks and a bit. 16. Tea Lights $2: Get in the mood by lighting a few tea lights for a spa day or while reading some good Chick Lit. These unscented white votive candles are simple and can also be set ablaze for many parties and festive occasions. 17. Candle Holders $2: These tiny blue china candle holders might actually be sushi sauce dishes, but I’m using my imagination and sticking a few tea lights in mine. When I’m done with fire, I’ll pour some wasabi and soya sauce in there. Check out my Healthy Vegetable Sushi Nori Rolls for a spa-licious snack. 18. Matches $0.25: A little box of matchsticks is needed for lighting the candles, of course! 19. Foot Scrubber $1: Don’t be a heel! Get your footsies callus-free and ready for shoe season before the New Year. This one is made of wood and is double-sided for the toughest of toes. 20. Nail Brush $1: Tiptoe along the sandy shore and get the beachy grit outta your toes with a soft-bristle nail brush. Good for fingernails too. 21. Monster Cars $1: A blazing red fire truck was just a buck, and it’s got die cast metal parts to help you rescue the neighbor’s cat out of a tree. Carl wanted to buy the whole dinky car set, and I nearly let him. 22. Plush Animals $2: Lions, tigers, and teddy bears Oh My! Little stuffed animals are fun stocking stuffers for anyone, including the kidlets. 23. Classic Puzzles $1: Cardboard jig saw puzzles are plentiful at my local dollar store — some are even Disney characters. A simple glue stick and a piece of cardboard turn any puzzle into a picture worth framing. 24. Plastic Mind Puzzles $1: I found a plastic puzzle ball worth a mind-bending look. It’s not a Rubik’s Cube, but you’ll bend your brain to find the solution. 25. Party Gift Favors $2: Birthday candles, goodie bags, and paper party hats are the things dollar stores do best. If your kid has a holiday birthday, don’t forget to have a real bash and not just stick it in with Christmas dinner or New Year’s celebrations. 26. Coloring Books $1: No need to stay within the lines when notepads and sketch books cost a mere dollar per doodle at the dollar store. Let your kid express herself on the cheap. 27. Piggy Bank $2: Teach your young kids about money by gifting them a simple piggy bank. This porcelain pig has a removable plug, so you don’t have to break the bank to buy a treat. 28. Hair Bands $1: This one is for the girls, sorry boys. Go back and check out that red fire truck. 29. Math Flash Cards $1: Learn addition, subtraction, multiplication, and division for a buck. This is a WAAAY better gift than a new pair of socks or underwear. 30. Go Fish $0.50: Get the kids playing card game classics like Go Fish or Old Maid for fifty cents a deck. 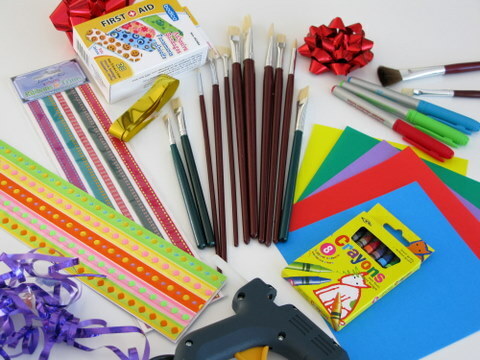 Dollar stores carry plenty of crafty supplies for scrapbookers, painters, sketchers, and aspiring sculptors. If you’ve got kids, there’s a gold mine of stickers and sticky things for young ones to get stuck to for a few bills. 31. Paint Brushes $2.50: Get a 24-pack of paint brushes to create your own canvas wall art or split the pack between your kids and see who becomes the next Picasso. Stroke of genius, these dollar store brushes. 32. Poster Paint $1: Cheap tempera paint comes in dollar-sized jars and dehydrated bricks in a palette — just add water. Clean-up is easy too. 33. Glue Gun $4: The most expensive item on my gift list, and well worth the price. This crafting staple has only one setting, but it still gets the job done. Don’t burn your fingers. 34. Glue Gun Sticks $2.50: The gun itself comes with two sticks — not enough for any crafter. Buy a bag of 25 for a few bucks to keep that gun gluing. 35. Construction Paper $2.50: A folder of colorful paper for a few bucks is a steal of a deal. My package contains the primary colors. Great for origami paper folding projects too. 36. Crayons $1: These are not the Crayola brand crayons, but on a hot day, they will melt in the back seat of Dad’s Oldsmobile no problem. Don’t ask — I’ll never live that one down. 37. Markers $2: I use dollar store markers for lots of little projects, including this Vote For Squawkfox sign. That was shameless, I know. Poor pooch. 38. Play-Doh $1.25: It’s a doughy modeling compound used by children to create fine sculpture. Cough. OK, it’s colorful putty perfect for sticking into your sister’s ear. Again, don’t ask. 39. Stickers $1: Glitter, smelly, seasonal, and silly. Every scrapbooker needs a few good crafting stickers, and kids should play with them too. I had the best sticker book as a kid. 40. Kid’s Adhesive Bandages $1: I wanted to call these little cuties ‘Band-Aids’, but I guess that’s a brand name. So let’s just say these first-aid ouchie covers are super fun and super perfect for when scissors slip and paper cuts bite. Smiley faces and frog eyes make every ouchie feel better. 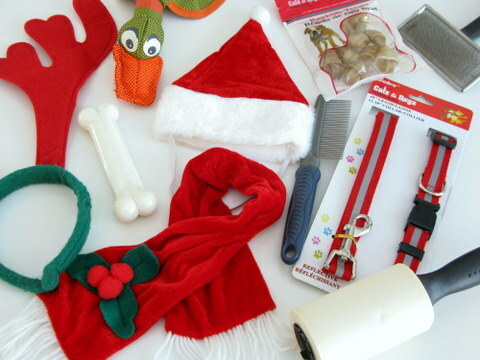 There’s a gift for every pet at the dollar store. 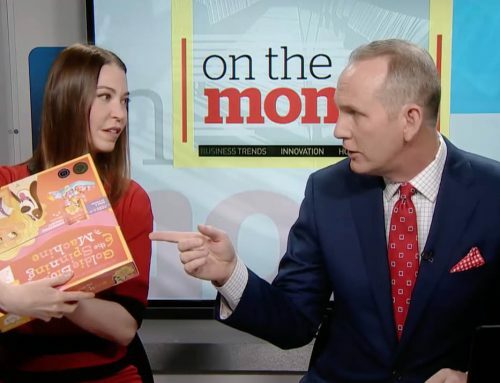 If you’ve got a dog walker or a feline sitter on your gift list, there’s something in store for the fur people too. Pet owners with smaller, more delicate pets can do well at the dollar store. For those with working breeds and farm dogs (like me), the durability of many items may be questionable. So buyer beware, and be sure to pass on the cheap stuff and go digging for more quality gear. 41. Cat Toys $1-$5: Little mice, scratch pads, and dancing balls will keep fluffy purring and her sharp claws away from the fine furniture. Yah, right! 42. Dog Toys $1-$5: My dog is a chewer, so a durable dog toy is a must. The cordura fabric duck for $5 works well, but I’ll stick to a Red Kong for most ruff and tumble play. Kongs are well worth the money since they last, unless lost under the porch for a season. My local dollar store doesn’t carry this brand though, so I’ll shop elsewhere for the good stuff. 43. Plastic Bone $2: Throw your dog a bone. This one is plastic. Make sure it won’t splinter and be consumed by a hungry, albeit confused, doggie. 44. Reflective Collar and Leash $2.50: Delicate cats and dogs will do well with this inexpensive collar and leash set. The reflective part is a bonus! My Australian cattle dog, Pivo, took one look at this dog collar and laughed. Yes, my dog laughs. 45. Fur Brush $2.50: Grooming is a must for many cats and dogs. Keep their coats clean and tangle-free for a few bucks. 46. Pet Comb $4: Fur people with longer coats may need some extra grooming love. My cattle dog is a short coat breed, and prefers the comb over the brush. 47. Treats $1-$4: Biscuits, raw hide treats, and other edible things are super cheap at the dollar store. Most of them are made in China though, so read the labels before buying — it’s probably not worth the expense. If your dollar store is a supply shop that carries brand names, you may just find quality food fit for your pet. 48. 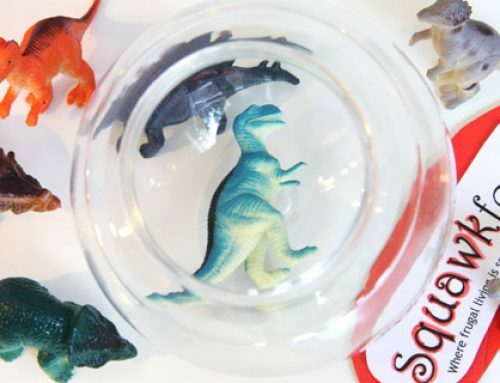 Dinner Bowls $2.50: There’s an endless supply of cute dinner bowls for cats, dogs, and other critters. A great gift for a new pet owner looking to feed Fido without resorting to people plates. 49. Festive Outfits $2.50: I’ve never been one for feline fashion or doggie dress-up, but I do have a sense of humor when it comes to silly antlers and Santa hats. 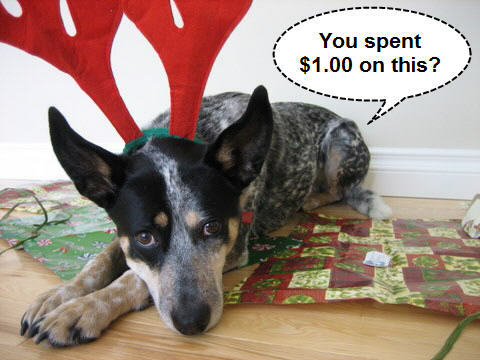 For a buck or two, I’ll eat my words and dress up my poor pooch once a year. The expression on her face is worth the expense. 50. Lint Roller $1: Get out of a hairy situation by investing in a simple lint roller. Pets shed. Need I say more? There you have it! Fifty (50) gift ideas found at the dollar store. I dare you to take a peek, open your eyes, and spy a nifty gift. You never know what’s in store. 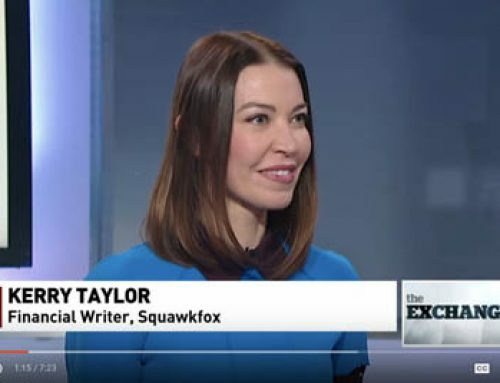 Squawkback: What’s your best dollar store deal or gift idea? Frames can be a steal at a Dollar store.. plus a good frame shop will glue down your picture properly for next to nothing so it will look great in a less expensive ($1.00) frame! Also a fabulous place to buy gift boxes!! Anything that makes gift wrapping easier for me is appreciated by my family.. they got tired of the duct tape. Great article. I love the dollar stores. As you say, you have to carouse through some of the cheaper items to get to the good stuff but with a little patience and a discerning eye there are many decent bargains to be found that make great gifts for those service people on your list. I have put together a gift basket for baby showers or house warming for less than ten bucks and that includes the card and tissue wrap. You are amazingly resourceful. Thank you for sharing your gift with us! I LOVE saving money!!!! I wanted to comment on the Dollar Store bungee cords. I don’t know if these are the identical ones we bought at our local Dollar Tree, but the ones we bought were not made well and could be dangerous. You mentioned using them for lightweight jobs, but we are often tempted to push the limits for things like this so I thought I would share our experience. While securing some items together with one of them, my daughter stretched it a bit too tight. It held for a few minutes so she went on about what she was doing, but then one of the ends popped off of the cord and went flying across the room. Fortunately, it didn’t hit anyone (the old saying about all being well until someone loses an eye comes to mind), but it did hit a framed picture and break the glass. Anyway, hope this helps. I would be cautious about edible pet treats from China. The ingredients are not usually listed and given China’s reputation for questionable quality control I would avoid them. Not worth a visit to the vet. I do, however, load up on poop bags for my dog at the dollar store. The pet stores sell them for much more and they both do the same job! As well I find things like lightbulbs much less expensive along with some basic kitchenware (chopping mats, small glass bowls etc). I guess you can tell I love dollar stores! 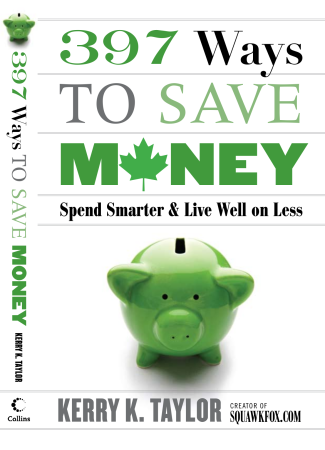 I realize your entire blog is dedicated to being frugal, which I appreciate! However, I need to share my thoughts about the never-ending quest for cheap goods. In my mind, super-cheap goods just means someone isn’t getting paid – probably many someones. I am not immune to the lure of saving money; I get it. But I would rather lean toward homemade items, reused items, or fewer items that cost more but the money goes directly into the local economy and the hands of the people who made it. I’d rather give (and receive) fewer items that might be pricier, with the peace of mind that my money isn’t contributing to factory sweatshops, etc. I know, it’s almost impossible to do – and I’m by no means perfect, or even close. But, I take issue with our society’s never-ending search for more-but-cheaper items. And I see MalWart and the Dollar Store and similar places to be a huge part of the problem. The local dollar stores here have a great selection of hats, mits and scarves for 1 or 2 dollars each. Anyone setting up home could use an assortment of kitchen gadgets and dont forget – containers of all sorts and basket wrap ect to do up the gifts. 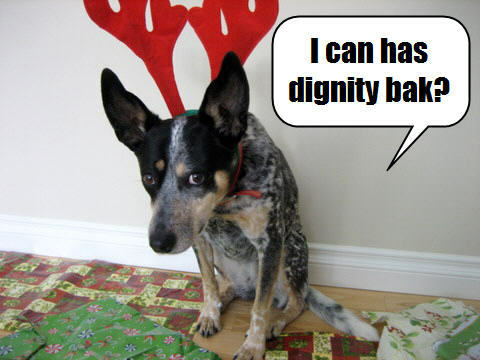 I love the Dollarama… I bought two gifts for my dog (two squeaky toys) that cost $1 each. I wouldn’t do the edible pet treats though- you never really know whats in them. Normally I would agree with Laura’s reply but having just returned from Thailand I will beg to differ. “Cheap” products may be produced in sweat shops or other poor environments but the workers are usually paid something no matter how little. They may make only enough to buy a bowl of rice a day but that is better than the next option which is starvation. I had the experience of shopping at the Bangkok weekend market, makes our dollar stores seem like Gucci. I could haggle any item under 100 Baht (3 bucks) if I wanted but made sure I paid at least 400 – 500 Baht for any one item. Vendors thought I was Santa Claus. In one case I offered a vendor, a young woman with a child clutching her skirt, 400 Baht for a bracelet that was selling for 300 Baht. She countered with 250 Baht, so desperate was she to make a sale. The real eye opener was a young mother with two young children under 3 years of age living and begging out of a phone booth near our hotel. We spent the first few nights watching to see if it was a scam or not. It wasn’t. We put enough in her cup to feed her kids for 6 months. The equivalent of a fancy dinner at a good Canadian restaurant. So shop at the the dollar store. If the “cheap” item you bought only lasts one day remember someone somewhere at least got a bowl of rice because of your purchase. Merry Christmas. 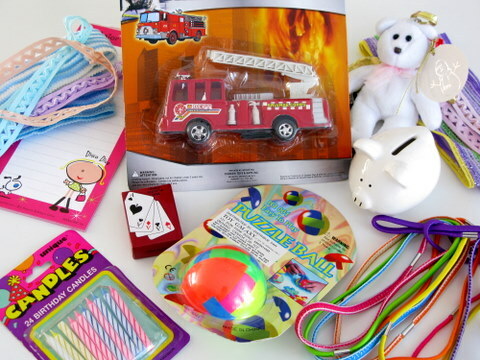 Although many items in dollar stores are made in China, some are made in the U.S.A. Just read the label and select items made at home to help our fellow citizens while saving money. Love these, so many gift ideas for $1. I make pretty amazing first aid kits from the dollar store. i spend a little extra on a decent container and then fill the insides with items from the health aisle. 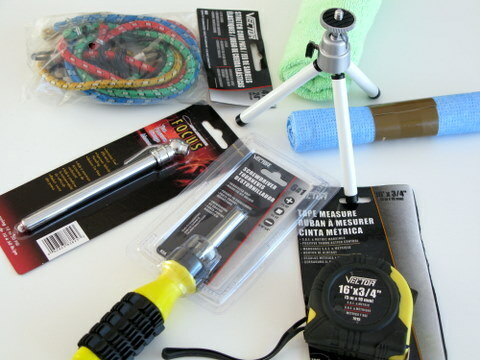 You can also do a decent survival kit if you include stuff from the hardware aisle. Just noticed my mother still having a pillow case we gave her almost twenty years ago. I got some plain white pillow cases and a set of textile markers and let my then-four-year-old daughter draw pictures on them. All grandparents just loved their very inexpensive christmas gifts that year. Coupon organizers and stationery/office products are great. you can also find index cards if you want to make flash cards. I love making gifts baskets for friends and family, and the Dollar stores carry clear or colored cellophane for a buck a roll. This stuff has many uses, esp. over the holidays. A few grocery store “specialty” items in a nice basket arranged in a clear, glossy wrapping are sure to please. I also put in small seasonal objects (candles, potpourri bags, figurines) from the $ store to add to the effect.